Aleyagarden : Dracaena: Philodendron in envelopes : ready to go ? 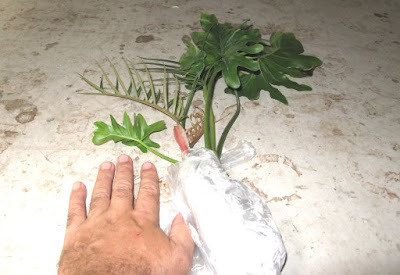 These 2 philodendron ( codes AM, price 15.30 $ & ANGU 12.67 $ ) in aleyagarden shop can be advantageously shipped in one air envelope for the transport cost of 3 $ only ! ( or in 2 envelopes for 2.3 $ each ). The risk of non arrival is 100% on the buyer's side but to this day all envelopes sent as well as all the ones aleyagarden has received from abroad have arrived. Nota : the leaves must be cut off : not to decrease weight but to avoid rotting. The rate of survival of philodendron even after two weeks is very good. Most envelopes arrive within a week.